Megastar Chiranjeevi’s dream project Sye Raa Narasimha Reddy is in production stages. This movie will have space for three heroines as Uyyalawada Narasimha Reddy had three wives- Siddamma, Peramma, and Obulamma. Nayanthara who is playing one of the wives has joined the unit in second schedule. Pragya Jaiswal is alleged to be playing second wife. Freshly, Tamannaah is confirmed to play third wife of Uyyalawada in the film. 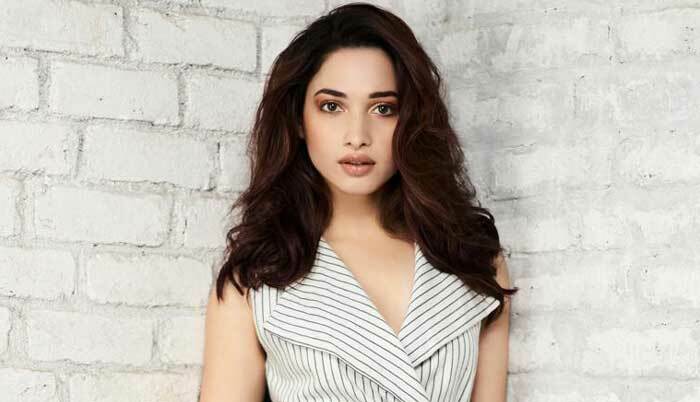 "A great honor to be sharing the screen space with two of my favorite actors - Chiranjeevi and Big B. I will be undertaking a lot of research for my role as there is very few material available online and I want to keep this as real as possible," informed Tamannah while speaking to scribes. Apparently, Tamannaah who romanced Ram Charan in Racha is overjoyed to work with megastar Chiranjeevi. Thus, we can expect a foot-tapping number between them in the film.